Chicken eggs are most commonly used in cooking. So in the fridge every housewife is required to present a small supply of chicken eggs. So they don't spoil, store the product in accordance with GOST. Not to be mistaken in the timing of egg storage should pay attention to the marking on the surface of the shell. In this case, you can be sure that the eggs are not spoiled and not rotten in the fridge. In accordance with GOST, all eggs offered for sale, divided into 3 categories: diet, fresh and chilled Cutlery. 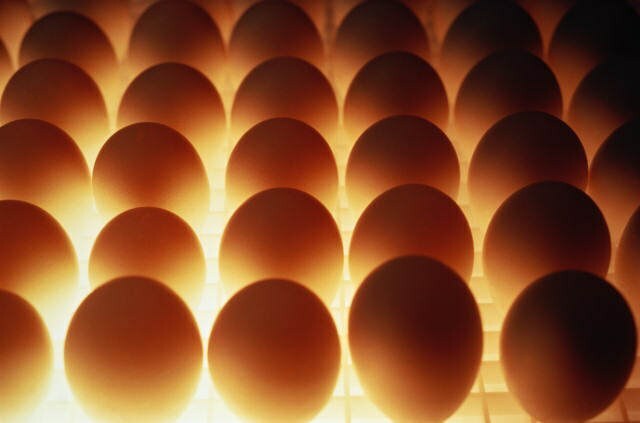 The period of storage of dietary eggs not more than 7 days after laying. The shelf life of fresh table eggs much more – up to 30 days. Keep refrigerated eggs longer. Also provided optimal conditions for storage of eggs at home. So how to store eggs should be refrigerated, avoid sudden temperature changes. Boiled eggs, brown shell, can be not more than 4 days, and the proteins, placed in a hermetically sealed container, can remain edible for 2 days. Prolonged storage can lead to contamination of eggs pathogenic microbes that cause food poisoning. At home freshly collected eggs should be kept in dry and rather cool room. The temperature should not exceed 20oC. The optimum temperature is 0-10C. The humidity in the room shall not exceed 85%. The shelf life of chicken eggs under such conditions may be 2-3 weeks. Often the eggs kept in saline solution. Diluted in a liter of water 20 grams of salt and pour eggs placed in a bowl. Extend the shelf life of you can, if you grease the eggs with vegetable oil or pork fat. Then the eggs are placed in a box filled with sawdust, shavings, sand, peat, oats or salt. Eggs have to be a sharp tip down. After placing the egg crate cover with burlap. Therefore, the product shelf life extend to 2-3 months. You can store eggs up to a year, if you put them in a mortar. First, the eggs are placed sharp side down into a bowl from clay, then pour the solution of slaked lime. The solution should close all the eggs on one finger. The room temperature is 0-10 degrees. This method is rarely used, as the eggs become not too pleasant taste. In addition, their protein is almost impossible to churn.